I don't grudge a rainy Saturday if it's mild and quiet. Today was such a day, so after piano lessons I walked up toward Oakland, Schubert Impromptus still banging around in my head. 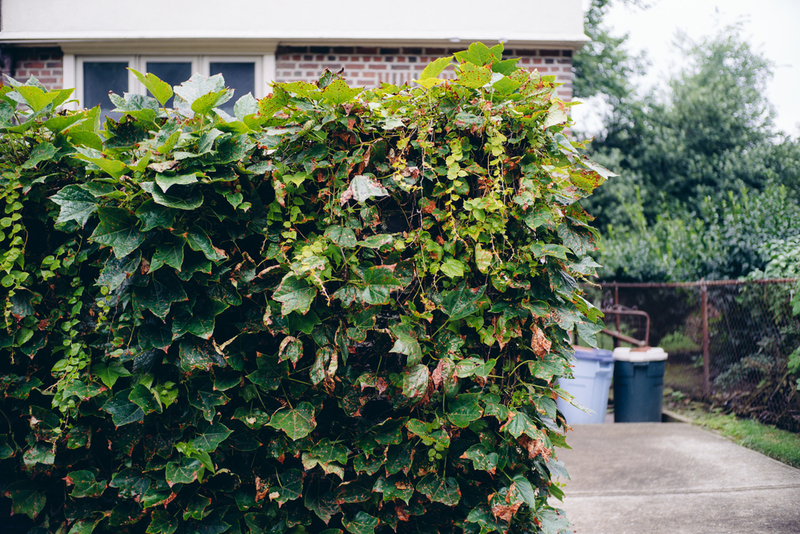 One of my favorite things to see (and photograph) is untamed greenery on brick and stone. Even if its seeming improvisatory growth is meticulously planned (like a Schubert Impromptu), the effect is just as powerful. Secrets, things forgotten, little moments of the sublime, all pulling one further into oneself, inviting contemplation of our relationship to nature. These are the kinds of environments to ponder nineteenth-century philosophy, which I do quite a bit in my line of work. It's nice when now and then such ideas don't seem at all dated or outmoded, but alive and well in the flowers and vines that slowly creep over our walls.